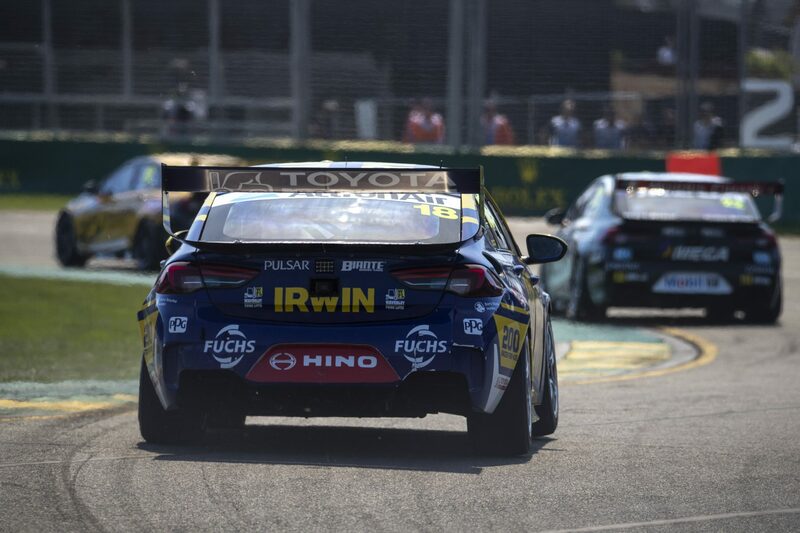 Mark Winterbottom says IRWIN Racing has plenty of work to do after Albert Park, where “we didn't really learn a massive amount about the car”. The Beaurepaires Melbourne 400 appeared a solid second hitout for Winterbottom with Triple Eight Holden equipment, highlighted by a fine sixth in the Sunday race. He’d qualified 10th, 10th, 11th and seventh for the four heats, finishing 12th, 11th and 13th in the races across Friday and Saturday. It followed ninth- and sixth-place finishes at Adelaide’s season opener, leaving Winterbottom 10th in the standings, one place ahead of Triple Eight’s Shane van Gisbergen. “We finished the weekend with our best result, which was good, but it was the one weekend we didn’t really hit our weaknesses in the car,” Winterbottom told Supercars.com. “We’ve been going forward and getting reads, whether it be positive or negative, but it was the one where we kind of just stayed put for the whole weekend. “We didn’t really make gains but we didn’t really create massive losses, we just stayed around that 12th-to-seventh-type pace all weekend. “At the same time, you see races where there’s five Mustangs up the front, to be the second Commodore on Sunday I thought was kind of cool. But it was a tough weekend. “Normally you come away from a track and go, OK if you race there Monday, what would you do? “We’ve got theories, but going there Monday to race again probably would have had the same problems. Winterbottom feels there’s more speed to be found within the existing package and won’t simply be relying on following Triple Eight’s development path. 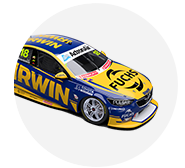 The Charlie Schwerkolt-owned IRWIN Racing has a customer relationship with the factory Holden outfit this year that ensures a flow of data between the squads. 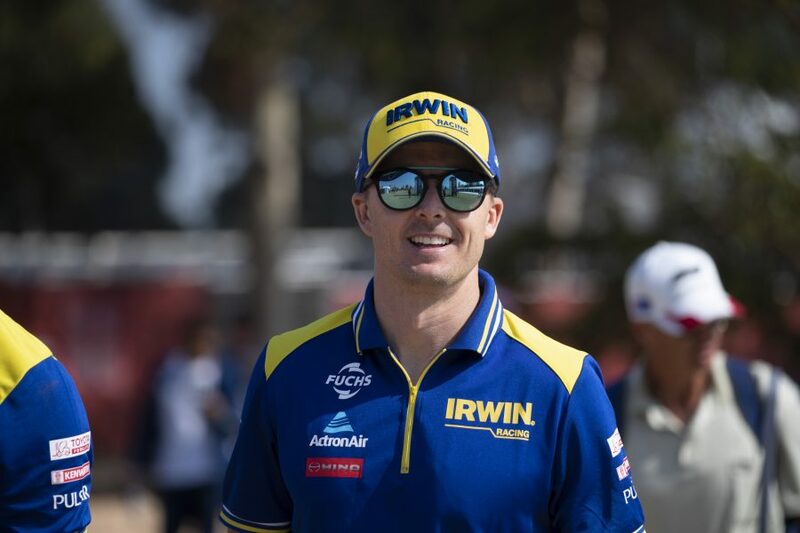 Winterbottom works directly with engineer Stuart McDonald and technical director Phil Keed, who acts as a conduit with Triple Eight. “I don’t think we tuned it to the max, I think there’s always some left,” continued Winterbottom. 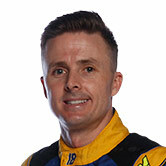 “It showed they were close too, because in three of the four qualifying sessions we outqualified Shane. “Unfortunately, normally if you outqualify him you’d be top-three, but he was working hard on the weekend. “He had a car moving under brakes in quali and the odd lock-up here and there, you don’t see that from him normally. It meant he was working hard inside the car too. “We’ve all got work to do, but we’ve got our car at our workshop and our debriefs are with our guys, we’re trying to fix our car not their car as such. “We’ll do it here, but if we find something I’m sure they’ll benefit from it, which is why they like using us because we’re not fluffing around, we’re actually going half reasonable.